Have Questions? :Email us at [email protected]! We are happy to help! "Me Equivoque Contigo... I made a mistake." 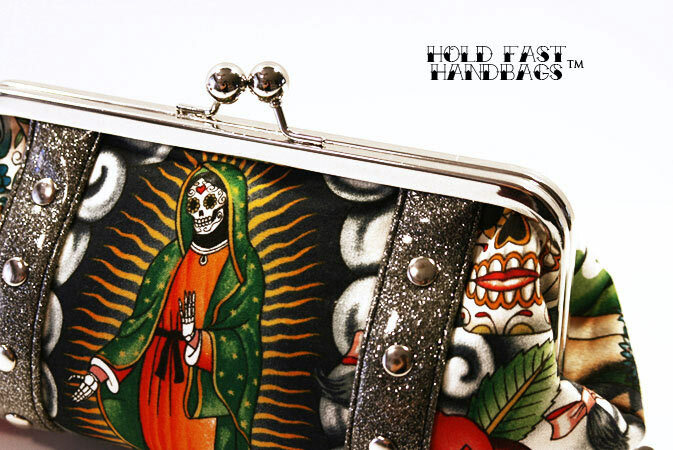 A symbolic pictorial tribute, the retro Folklorico clutch from Hold Fast Handbags features brightly colored Mexicana folklore cotton. 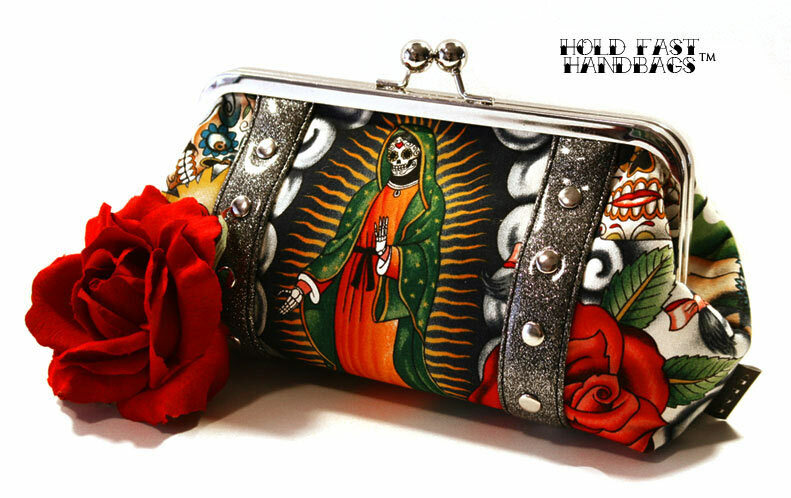 The fabric is printed with images of Aztec legend (including the characters of Popocatépetl and Iztaccíhuatl, roses, and Day of the Dead skulls) this standout clutch is accented beautifully with contrasting silver metal-flake sparkle vinyl. 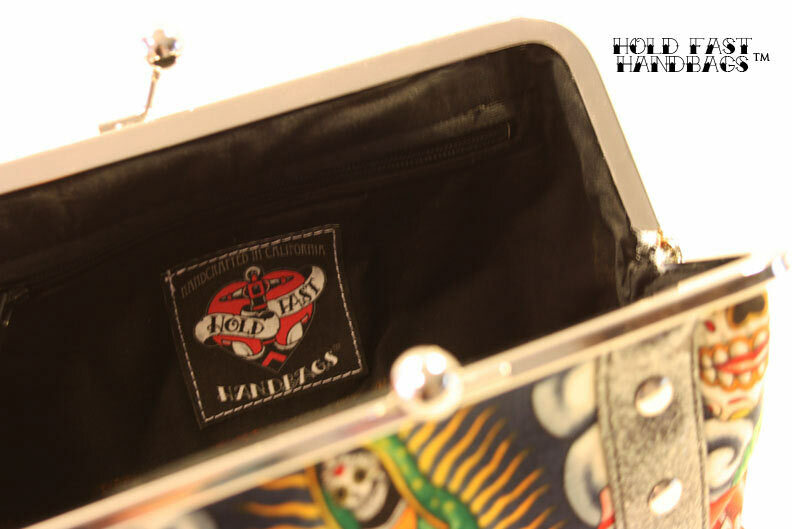 This clutch is the perfect size for an evening out on the town-- fits right under your arm. Flat dimensions are: 11" long at the longest point, 7" high, 2.5" wide. 8" frame. 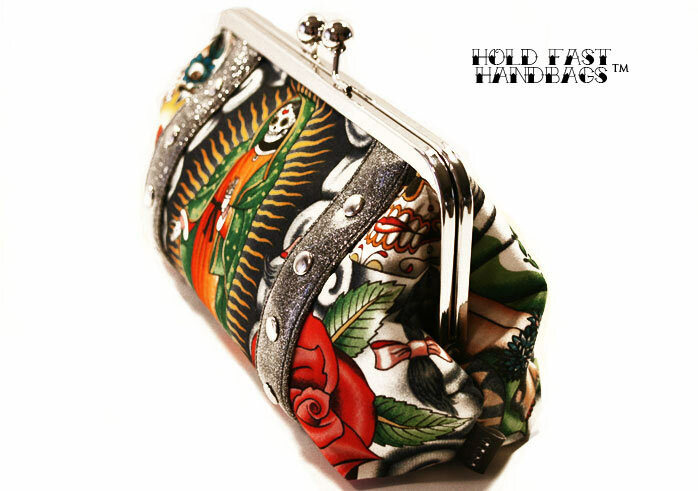 These purses are custom ordered and made individually! Proudly made in the USA and materials are sourced from American suppliers and manufacturers whenever possible.